Njord - Njord is the father of Freya and Freyr and, like them, is one of the Vanir that joined with the Aesir at the end of the Aesir-Vanir war. Njord is possibly related to Nerthus. It would be conceptually consistent with the known mythological structure if Njord and Nerthus are a brother-sister pair who were married in Vanaheim but are no longer married as this is not permitted by the Aesir. 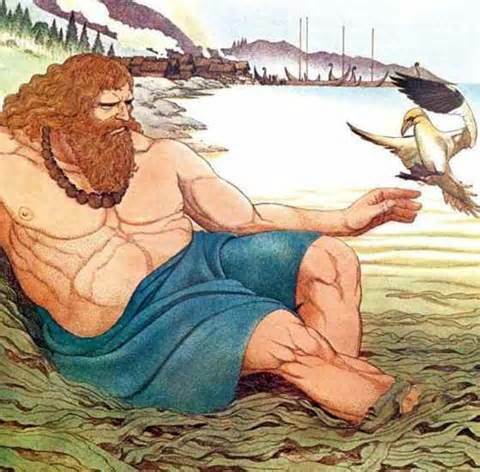 Njord was won as a husband by Skadi, however, Skadi could not abide the waves and gulls at Njord’s home in Noatun and Njord could not abide staying at Skadi’s dwelling. They presumably parted in good company.